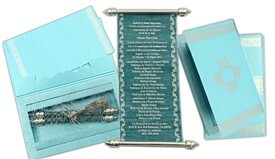 S1064, Blue Color, Scroll Invitations, Jewish Invitations, Small Size Scrolls. 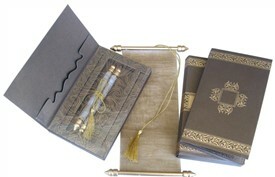 Yet again, another beautiful small size scroll. 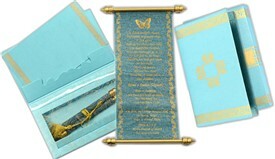 The scroll is plain and is 100% customizable in terms of text and border to be used. 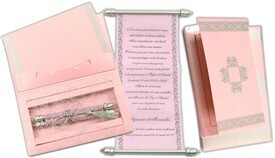 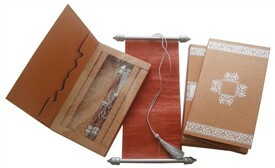 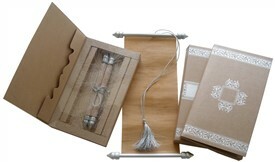 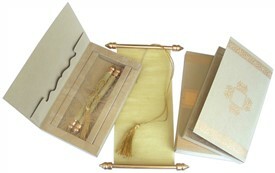 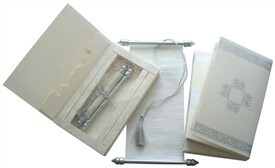 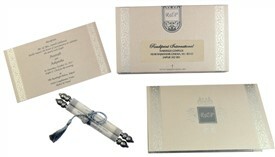 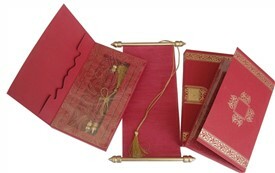 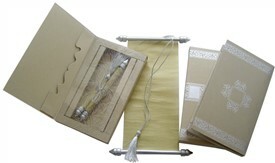 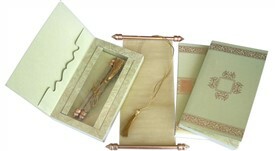 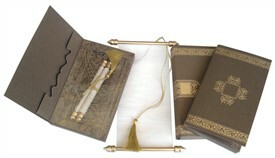 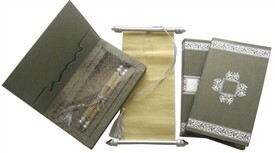 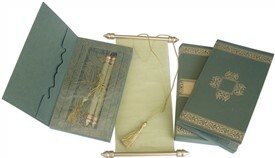 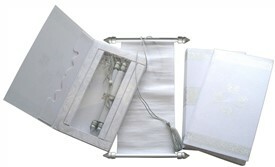 The container box envelope holds the scroll with inside top half having a pocket to hold insert and any add on cards. 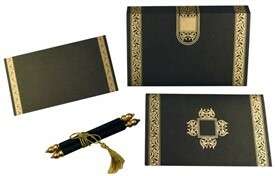 The front of this box has border on both sides with an ornate box in center in gold. The inside Cellophane paste-up acts as the cover for the scroll and has golden printed floral design all over. 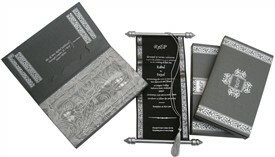 The envelope follows the front design. 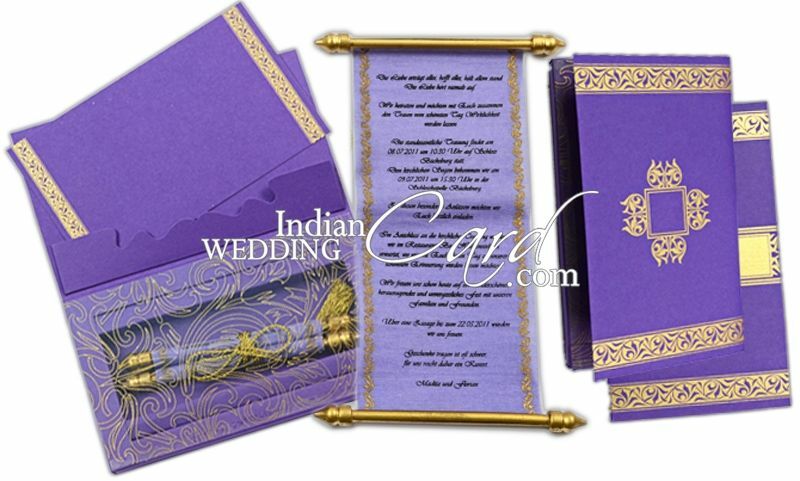 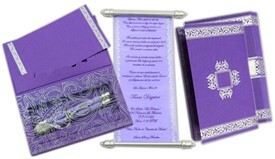 Purple color card sheet (250gsm) for one insert, mailing box envelope and container box. 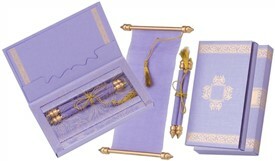 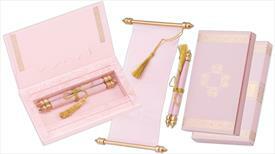 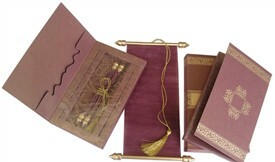 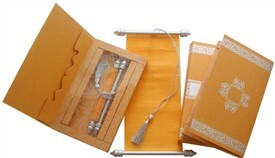 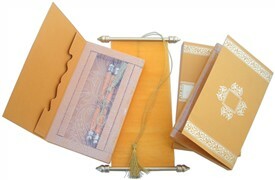 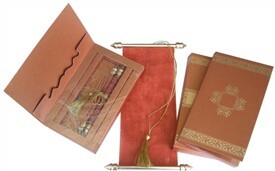 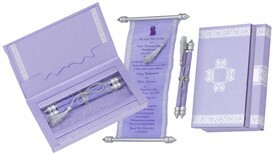 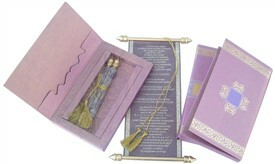 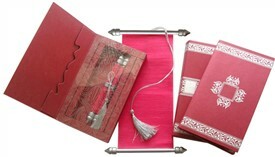 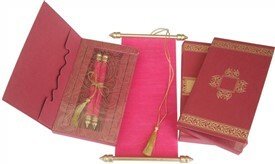 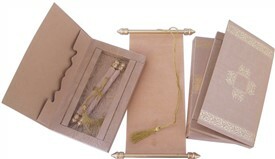 Light purple color translucent wooly paper for scroll with golden bars and matching tassel. 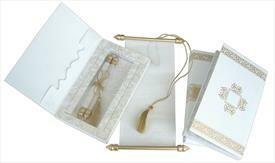 Transparent cellophane paste-up inside the box.